This review post was facilitated through a partnership with Dealspotr. All opinions are my own. If you have been following me here at Frugal Beautiful for any length of time, you know I have a crush on Kate. Kate Spade, that is. Yes, I love me some designer clothes, shoes, and purses when the occassion calls and I can get a good deal. SO SUE ME! But wait! Before you hire yourself a lawyer, hear me out. I believe in investing in quality apparel and accessories that will last me for years, versus having to constantly replace an item due to wear and tear. Even more important, I not only save for these purchases, but I shop, shop, and shop around for the absolute best deals. You see, to me, being frugal isn’t about using cloth toilet paper and refilling my ketchup bottle with packets from McDonald’s. (Yes, people actually do these things.) 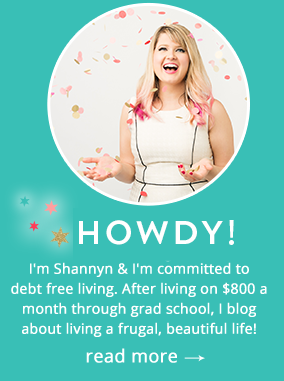 Instead, I believe frugality is all about mindful spending. How will I use this item? Is this item something that will last me a long time? Do I have anything else in my collection that will work just as well? Am I being frivolous or is this really a purchase that makes sense? Coupon sites are a dime a dozen. And some of them can actually be pretty helpful. Unfortunately, most of these coupon sites only display the promos that the merchants send them. Because I use similar “affiliate networks” to what these coupon sites use to find coupons, I can tell you 100% that many – if not most – of the available coupons are not listed. That’s where Dealspotr comes in. They have built a community of people just like you and me who find and submit coupons and promotions for others to use. These can include referral codes, single-use codes, and single-item deals. 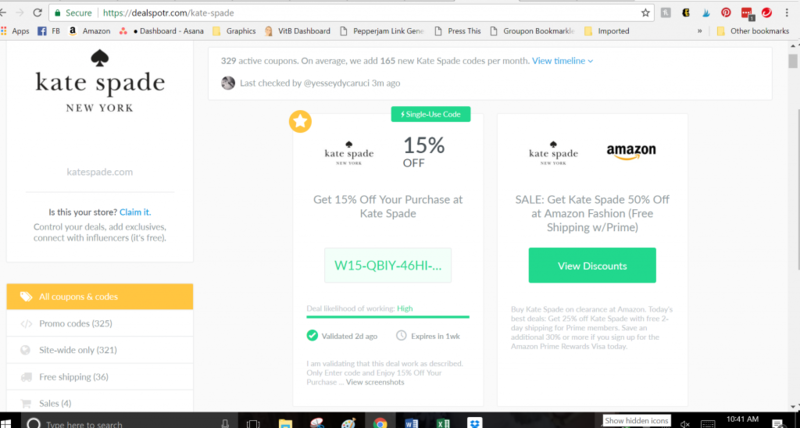 Plus, unlike other coupon sites, each and every coupon code that is submitted on Dealspotr has been confirmed to be working. In exchange for adding and validating deals correctly, users receive points which can be redeemed for gift cards. I know I can’t be the only one who hates finding out that a coupon I was all excited about using didn’t even work. Dealspotr’s coupons are constantly being validated by other users, making for significantly less frustration. 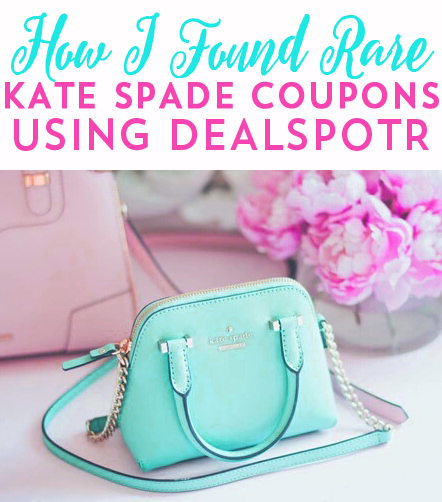 Dealspotr is where I recently found several rare Kate Spade promotions that allowed me to purchase a purse I’ve had on my wish list for a long time, the Cameron Street Teegan Satchel. Here she is. Isn’t she beautiful? 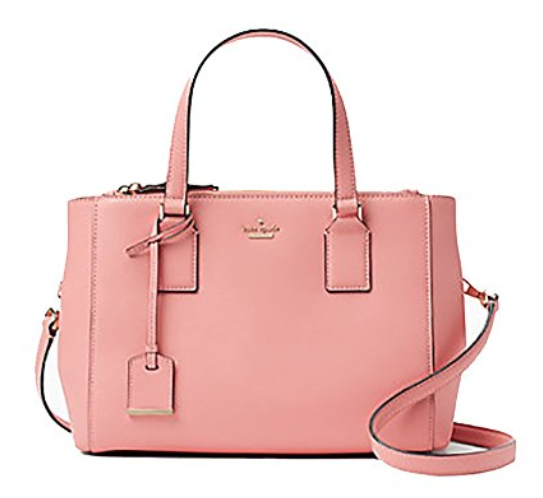 Search Dealspotr for Kate Spade. When it appears on the list under stores, click it. Scroll through the list of promotions. You may find promo codes, referral codes, and/or third-party deals. 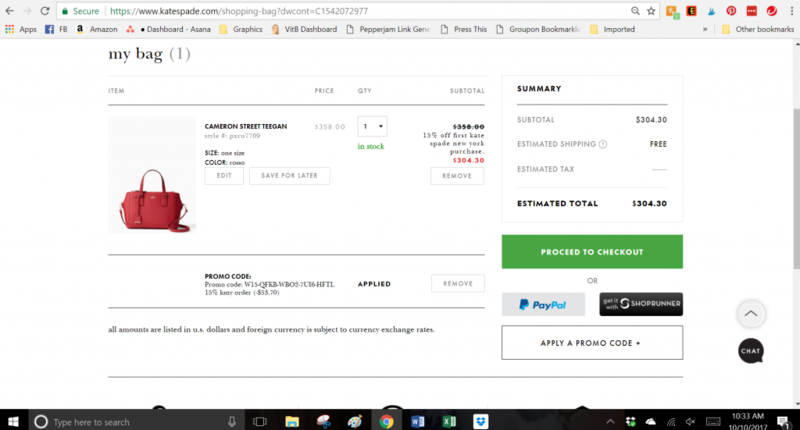 I first tried a 15% off referral code for KateSpade.com. It worked, just as promised, but I wasn’t very impressed with the discount. While I believe in investing in high-quality goods, I was not prepared to spend $300 on a purse. Next, I checked out all the third-party promotions, including Bon-Ton, Amazon, and eBay. This particular promo lists Amazon as having up to 50% savings on Kate Spade. 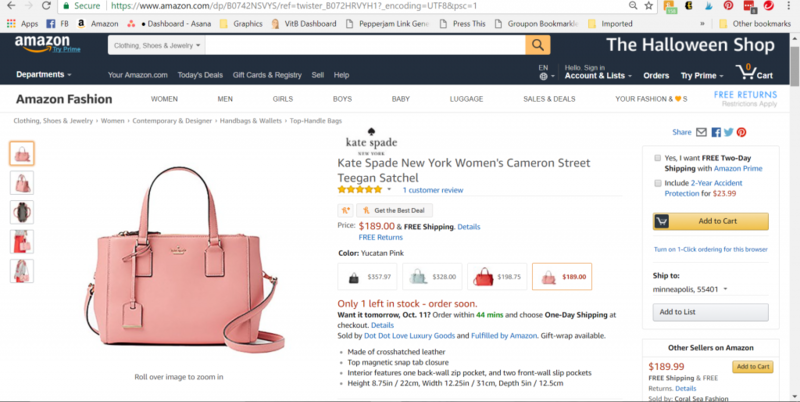 Lo and behold, Amazon had my dream purse for only $189! Granted, it isn’t the same color as the one I was originally looking at, but I actually like the pink one more. Plus, $111 savings can change anyone’s mind on color. 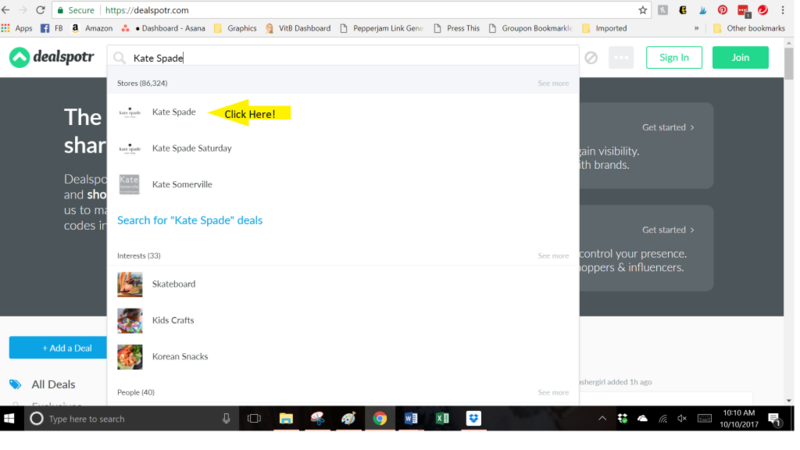 I am super pleased with my experience using Dealspotr for the first time. The interesting thing, which I didn’t expect, is that I had such good luck with the third-party promotion, which ended up being Amazon for me. Listing them all in one spot made it easier for me to search for the purse I wanted. 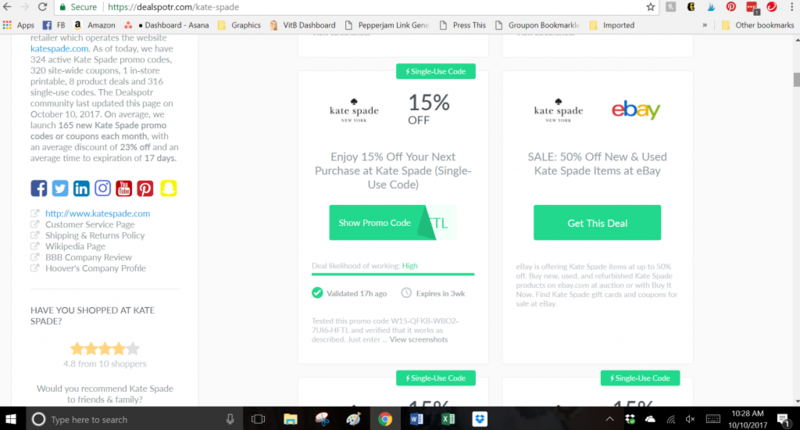 Plus, I would have never even considered looking at Bon-Ton or Amazon for Kate Spade if it weren’t for how Dealspotr has their website set up. I always just assumed that Kate Spade was exclusive to high-end merchants. 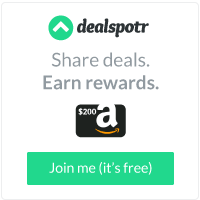 So if you are on the lookout for a reliable source for deals and promo codes, definitely pop on over to Dealspotr and give them a try.